I would like to receive occasional information and updates from The John King Brain Tumour Foundation and jumblebee. Welcome to the John King Brain Tumour Foundation online auction! Please look through the magnificent items we have on offer and place your bids before the event takes place. There is an option to enter a proxy bid which is the maximum you're willing to pay and this will cross over to the event. Please note your bid for the live auction items will be taken through as the beginning bid at the event. This auction is open for you to bid online until 9am on the 18th October when online bidding will close. Bidding will re-open at the Event on 18th October in the evening, and will only be available at the venue. If you are unable to attend the Event, but wish to bid on an item, you can still give yourself the best chance of winning by placing a proxy (maximum) bid on this page. We then will carry your bid over to the main auction on the evening of the Event and continue bidding up for you up to your maximum. You will be contacted after the Event if your bid has been successful. Brian Jones "Low Tide St.Ives"
Brian is an award winning, internationally known marine artist, specialising in both modern and historical yachting scenes. 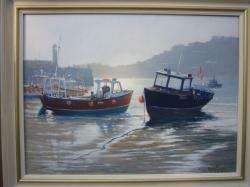 His work has been regularly sold through Christies' maritime auctions and is now sold through Bonhams, Knightsbridge. Brian was elected an Associate Member of the Royal Society of Marine Artists in 2015 and elevated to full membership in 2016. Having been commissioned by the Royal Navy to produce a painting commemorating the Battle of Trafalgar, his work has also been featured in many publications including Yachting Heritage limited edition books featuring classic yachts including Tuiga and Mariquita. His work is widely collected in the U.K as well as the Middle East, USA and Canada. Brian has won the Classic Boat publication prize at the Royal Society of Marine Artists annual exhibition Mall Galleries, London in 2013 and 2014. John King was a big collector of Brian’s work as well as being a very good friend. If you are unable to attend the Gala Dinner on the 18th October but would like to make a telephone bid on this item during the live auction or a proxy bid , please contact Alison Houghton at Events@kingsfinefood.co.uk who will assist you. 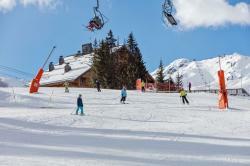 Make the first tracks of the season – a 5 night say for 6 guests at Chalet Le Yeti on 7th December 2018. We’re well known for our attentive service with live-in staff tending 8 double bedrooms. 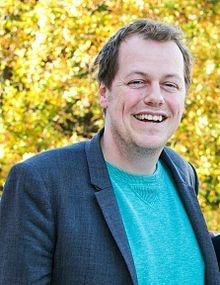 Tom Parker Bowles, food writer, critic and cookery book author, along with Bill Knott, a former chef, and now an international food and drink writer will come to your home to cook a magnificent dinner for 8 people. A rare opportunity to experience divine cooking and be entertained by these culinary masters. Prize includes all food (drinks excluded), available January to May 2019, within the M25 and subject to availability. ‘Forever my No.1’ - No1 Marylebone eternity ring . 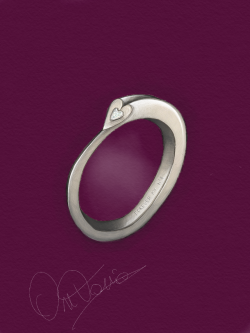 Made to measure eternity ring - client choice of metal (including platinum) with name or initials engraved inside. Limited edition No.1/50 with certificate. An idyllic urban sanctuary, Rosewood London is amongst the capital’s finest luxury hotels. On arrival, an arch in the hotel’s grand façade draws one into a tranquil courtyard. The hum of the city slips away, replaced by an atmosphere of quiet sophistication and unsurpassed hospitality. It’s a warm welcome to a perfect stay. From redefining luxury and creating some of the world's most exclusive perfumes, Roja Dove stands as an internationally respected master perfumer, whose experience, passion and creative flair is palpable in all of his creations. Every aspect of his process is uncompromising and captures Roja’s central philosophy – “only the best will do.” Positioned as a globally recognised fragrance house. You or your loved one will enjoy a one hour personal, private fragrance consultation with a highly experienced consultant at the Roja Dove Haute Parfumerie in The Salon de Parfum on the Sixth Floor of Harrods. During the consultation you shall discover the fragrant keys that unlock your perfume personality through Roja Dove’s unique Odour Profiling© techniques and lead you to discover your perfect signature fragrance. You will then take home an exquisite limited edition perfume of your choice worth up to £2,500. 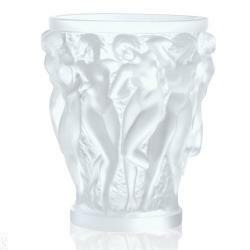 In 1927, Rene Lalique's boundless imagination and creative genius lead to the creation of the Bacchantes vase. The iconic design features the young priestesses of Bacchus with their voluptuous beauty and curves. A work of unparalleled beauty, the splendour and sensuality of the vase continue to leave admirers spellbound. Since its original release, it has been a staple in the Lalique collection and has become a lasting symbol of Lalique's celebrated style. Revolutionise your life with laser eye surgery at the London Vision Clinic by Professor Dan Reinstein. Professor Reinstein and the London Vision Clinic are world renowned for their leading practice in laser eye surgery. 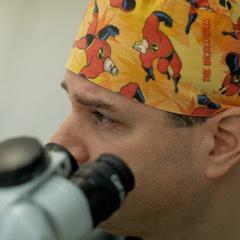 Professor Reinstein is one of the most published academics in the field, with his own personal experience of over 28,000 procedures including his own personal experience of having had Laser Blended Vision on his own eyes. 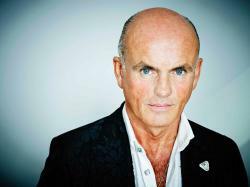 He has treated many prominent people from the worlds of media, sport and music. With almost one thousand positive reviews on trustpilot the London Vision Clinic have established themselves over the last 15 years as second-to-none in the field of vision correction. Professor Reinstein has offered to treat any suitable patient (who is at least 18 years of age) after a 2 ½ to 3 hour screening and eye examination to determine suitability. This potentially life-changing procedure is painless and safe – statistically laser eye surgery at the London Vision Clinic poses no greater risk than that of wearing daily disposable contact lenses for a year and is suitable for short sighted, long-sighted eyes including astigmatism as well as ageing eyes (presbyopia, reading vision). In the very unlikely event that you are found unsuitable, the treatment is transferrable to a lucky friend or family member. The customary fees for treatment range from £5,200 to £6,500. Professor Dan Reinstein, will be attending the evening and would be delighted to talk to any potential bidders on the evening. Executive chef at The Ritz , John Williams MBE along with his team will come to your own home to cook a magnificent dinner for 10 people and ‘Caviar Queen’ Laura King will expertly lead you and your guests to sample exquisite caviar and she will also be your waitress for the evening. A rare opportunity to experience five star dining in the comfort of your own home!